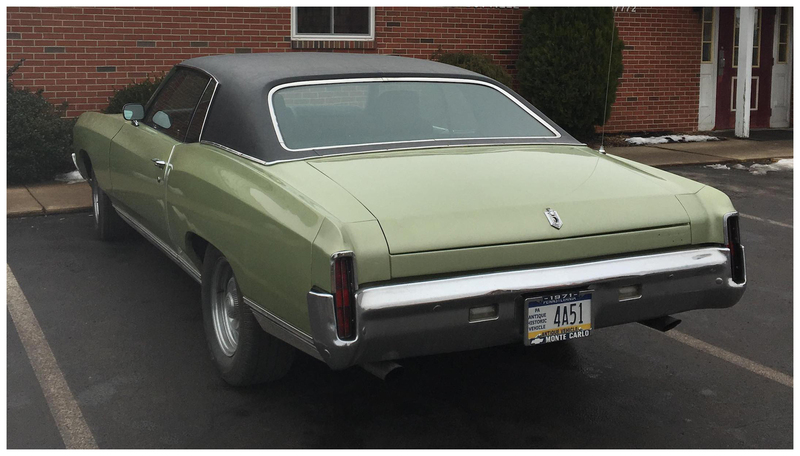 This 1971 Chevy Monte Carlo was spotted by former WNYer and current Keystone State resident Rick Lapp outside the Turbotville post office. Turbotville? Yes, the Borough of Turbotville (population 705 as of the 2010 census) is in the Upper Susquehanna Valley, about halfway between Ottawa and Delaware Run. Oh yeah, the car. 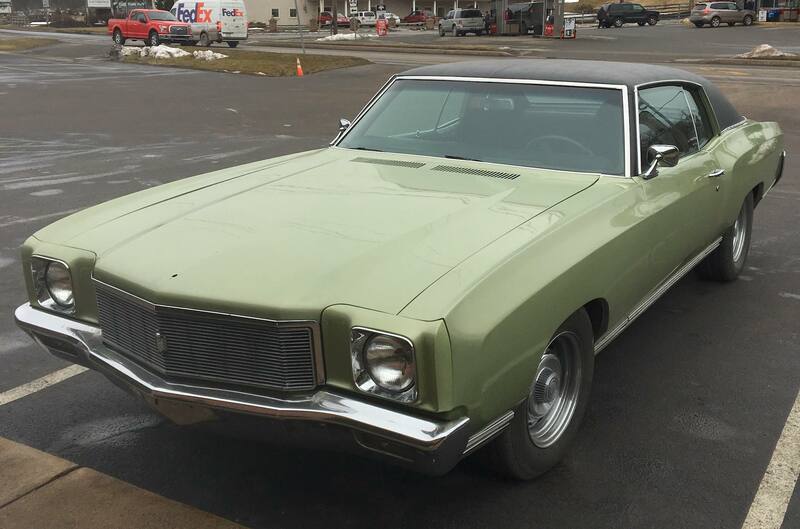 The ’71 was the Monte’s second year, and a 350CID (with a 3-speed manual transmission) was standard equipment — as was “An instrument panel with the hand-rubbed-oil look of Carpathian burled elm,” of which Chevy told us “The wood’s not real, but we photographically reproduced it so only termites will know the difference.” The owner mentioned in passing that this Lime Green example has a mere 68,000 original miles on it.